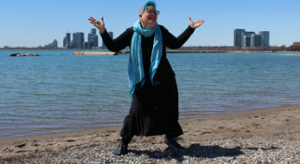 Sage Tyrtle has been improvising in Toronto since 2010, working with “Plundercats”, “Robbing Turtles”, and “America’s Next Top ___”. She’s performed in the Chicago Musical Improv Festival and the Big City Improv Festival. When it comes to storytelling, Sage is a professional storyteller, telling stories all over the world. 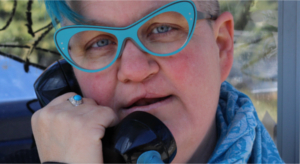 She teaches The Art of Storytelling, and her stories have been featured on NPR and CBC radio. We’ve all had that moment where you’re telling a story, and you suddenly realize that everyone around you is just waiting for you to stop talking. The almost imperceptible glazing over of their eyes. The slight shifting as they wonder if it’s really that rude to check their phones. The blush crawling up your cheeks as you stumble over your words, trying to wrap things up as quickly as possible. There’s no worse feeling than realizing that people have tuned you out, especially when you’re trying to talk about something you really care about … and nothing better than when you look around a room and realize that people are hanging on your every word. That’s what this workshop is all about: learning how to tell stories that matter in a way that absolutely captivates your audience. Why work with just a word as a suggestion? A true story can lead to some of the best improv ever seen. Professional storyteller Sage Tyrtle works with you to tease out the suggestions from true stories.